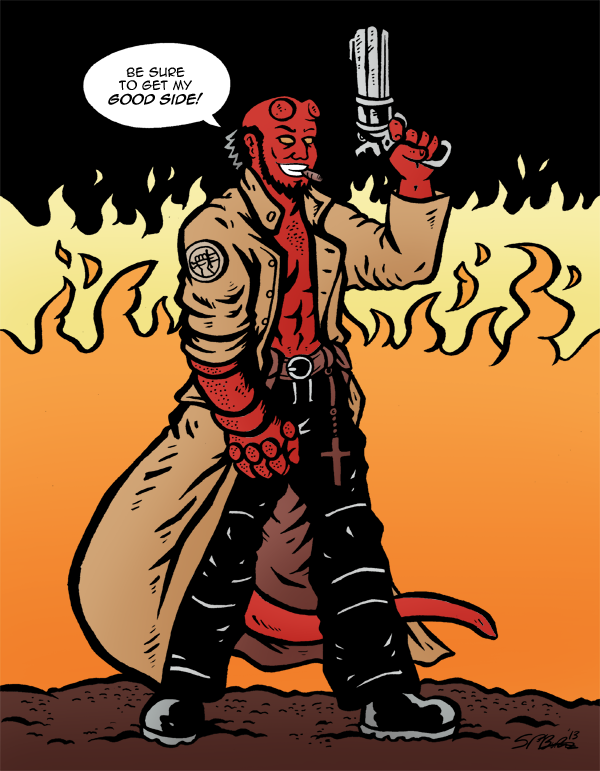 Little something I made for C2E2 guest-of-honor Ron Perlman. I’ve always been a big fan of Mike Mignola’s use of black in the original “Hellboy” comics, so mimicking that with my own style was a lot of fun. Only $5 at Booth R6!